Same great taste but BIG! 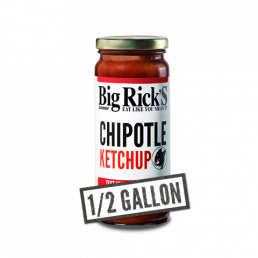 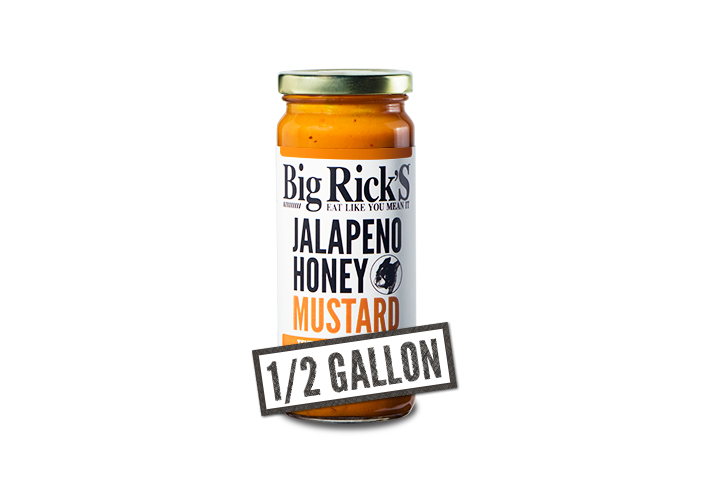 The 1/2 Gallon size is here for all the great recipes using Big Rick’s Famous Jalapeno honey Mustard! More More More…what can I say? 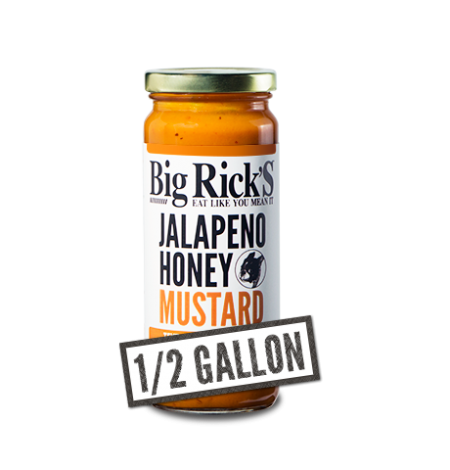 There are so many uses for this product that we cannot even begin to tell you! 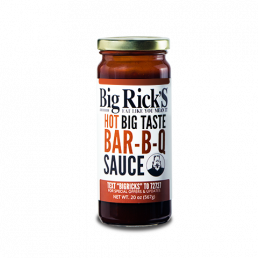 On a hot dog, brat, onion ring, ham sandwich, pork chop, or with some olive oil as a salad dressing…you will never be satisfied or disappointed!